IKI is a Japanese restaurant at Sri panwa Phuket. The restaurant also serves dishes for health-conscious diners. Smoothie bowl is great for breakfast, snack time, or even dessert. The bowl starts with a thick colorful blend of frozen fruits, veggies and almond milk with hearty decorated toppings. Smoothie bowl is delicious with a creamy texture yet packed with super food nutrients, vitamins and anti-oxidants essential to the body. Smoothie bowls at Sri panwa & Baba Beach Club Phuket are served in three styles: Acai berry, cocoanana and tropicana. A poke bowl is a typical delicacy for Hawaiian people. Poke (Poh-Keh) is a Hawaiian word meaning ‘to slice or to cut.’ The bowl is served with chunks of assorted raw, marinated fish – usually tuna & salmon – tossed over Japanese rice and topped with vegetables and sauces. 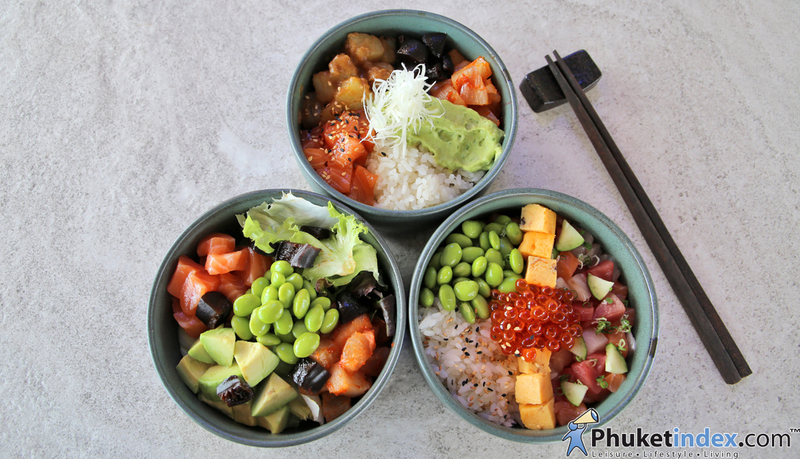 Poke bowls with IKI’s signature twists are classic kaisen, IKI’s special, summer delights, avocado crunch and veggie lover.